June 3, 2015 -- Another salvo in the screening mammography wars has been released in the form of a literature review in the New England Journal of Medicine suggesting that breast cancer screening reduces mortality by 40%. Both sides of the breast screening debate may be able to gain ammunition from the report's findings, however. Researchers from the World Health Organization's International Agency for Research on Cancer (IARC) found that women ages 50 to 69 who regularly receive mammography screening reduce their risk of dying from breast cancer by 40%, compared with women who are not screened. This translates into about eight deaths prevented per 1,000 women regularly screened, according to the group. Although these results may strike mammography advocates as helpful to the cause, the analysis did not go so far as to provide specifics about how often women should be screened, and it was equivocal in regards to screening women in their 40s. In addition, it concluded that there was insufficient evidence to support the use of adjunctive screening modalities such as digital breast tomosynthesis (DBT) and breast MRI. The findings will be part of an updated edition of the IARC Handbook on breast cancer screening. The last report was published in 2002; that version found sufficient evidence for the efficacy of screening mammography in reducing breast cancer mortality for women between the ages of 50 and 69, limited evidence for women 40 to 49, and inadequate evidence for women younger than 40 or older than 69. Stephen Duffy from the Wolfson Institute of Preventive Medicine. 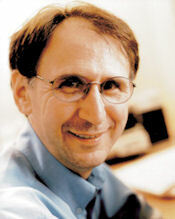 For this update, group member Stephen Duffy, a professor of cancer screening at the Wolfson Institute of Preventive Medicine in London, and colleagues from 16 countries analyzed evidence from 11 randomized controlled trials and 40 observational studies to determine the positive and negative effects of different breast cancer screening methods (NEJM, June 3, 2015). The group questioned the relevance of randomized controlled trials conducted more than 20 years ago, given improvements since then in both screening technology and breast cancer treatment. The members also considered more recent observational studies more likely to provide strong data to evaluate screening mammography's effectiveness. "The working group gave the greatest weight to cohort studies with long follow-up periods and the most robust designs, which included those that accounted for lead time ... [and] minimized temporal and geographic differences between screened and unscreened participants," the authors wrote. "Analyses of invitations to screenings (rather than actual attendance) were considered to provide the strongest evidence of screening effectiveness." In the end, the group's review mostly conformed to the 2002 report: It found sufficient evidence that screening reduces breast cancer mortality in women ages 50 to 74, but limited evidence that it reduces breast cancer mortality in women ages 40 to 49. The analysis concluded that the best weapon against breast cancer mortality is mammography screening, and that evidence for other screening modalities was limited at best. "The group was particularly cautious about screening women under age 50, judging the evidence to be limited," Duffy told AuntMinnie.com by email. "However, there is some evidence of a mortality reduction with screening in women ages 40 to 49. My own opinion is that starting screening around age 45 would be prudent." The group's report did not recommend particular mammography screening intervals. "As regards the frequency of screening, the group did not make a firm recommendation," Duffy said. "Again, personally, I note that screening programs in Europe have achieved excellent results screening every two to three years." So what might this analysis offer women themselves? Despite the lack of clarity on how often to undergo screening, it does affirm mammography's efficacy, even in an era when breast screening's critics attribute its perceived mortality reduction to better therapies, Duffy said. "It provides reassurance that 29 experts from all over the world reviewed all the evidence to date and concluded that even in this era of adjuvant therapies, mammographic screening saves lives from breast cancer," he said.